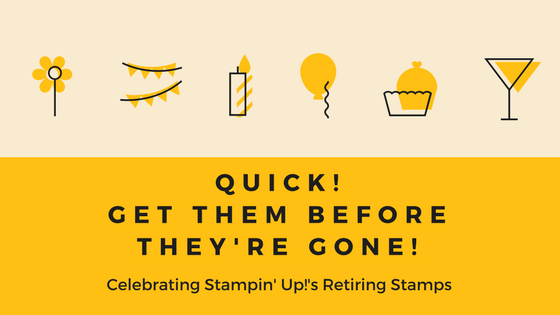 Today’s card features the retiring Friendly Conversation Stamp Set, Playful Backgrounds Stamp Set, and Tranquil Textures DSP. I knew I wanted to use this big sentiment with the Tranquil Textures DSP, but wasn’t sure where to go from there. After playing around, I settled on stamping a background piece and layering a piece of scrap DSP over it. Very nice compliment. 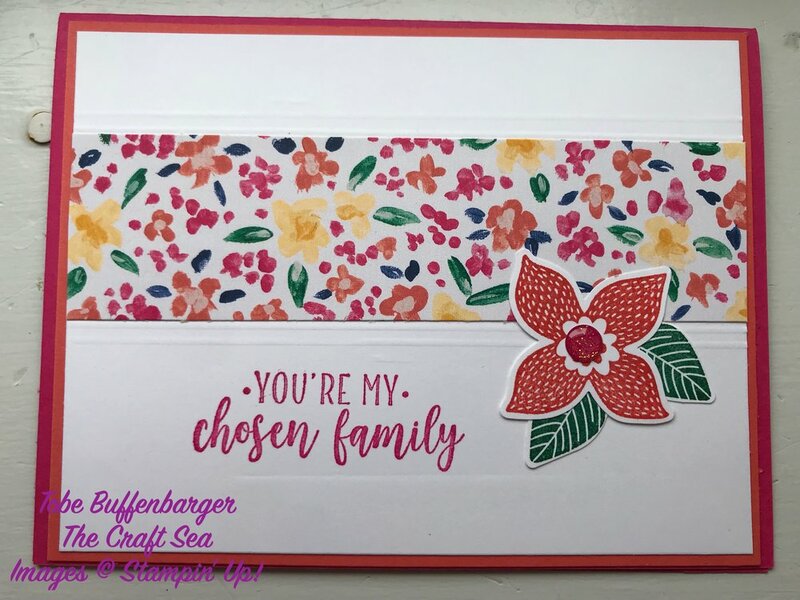 From there, I stamped my sentiment, added some touches, and placed it on a piece of cardstock to create a nice layered piece. Very simple card with a lot of varying blues! Today’s card is a CASE from Connie Stewart. The Garden Impressions DSP pack has to by my most used pack this catalog. Just love all the patterns and colors. I knew I had to use it for this card, so I pulled my other elements to coordinate. If you look closely you can scored lines framing the DSP strip. As a last touch, I added a fun glittery enamel shape to my flower. Today’s card is just a explosion of fun colors. I adore the Needlepoint Nook DSP which is a surprise. I just usually gravitate to the feminine and country style papers, but this pack is just too beautiful. This pattern isn’t textured, but it sure looks like it! Love the detail. I decided to really showcase the paper and add a simple image of a coffee cup and some accessories. This card just makes me happy. Today’s card is is a collection of florals. 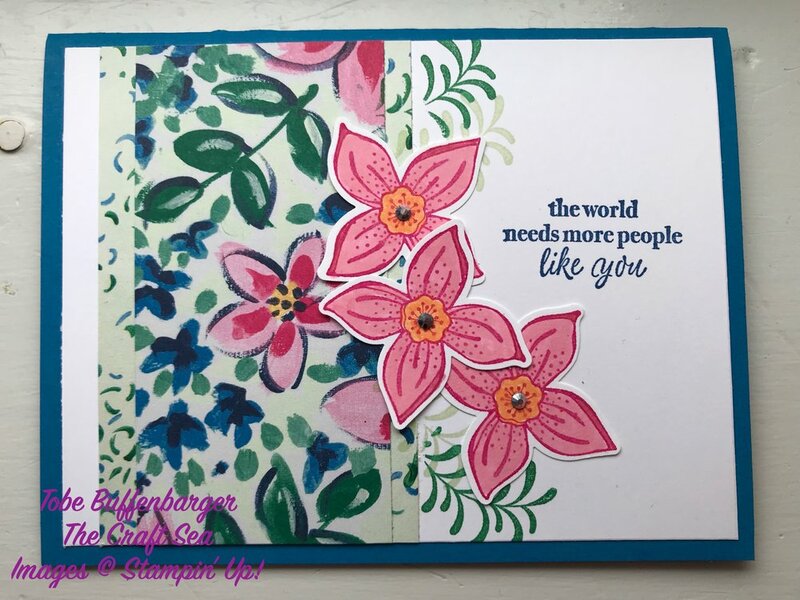 I just love the patterns in the Garden Impressions DSP and the Pop of Petals Stamp Set. So I started layering some paper and stamped flowers. The result is a cute little card. Today’s card is a CASE from Brian King. I loved the simplicity of this design and wanted to create my own. I did flip the entire the card horizontal and added another little Tranquil Tide layer, but I kept most of it the same. Loving the pattern and texture of this card. Today’s card was created using Freshly Made Sketches #372. I just love the simplicity of the design. So many directions I could have gone! For my card, I started with a strip of Bermuda Bay Glimmer Paper and worked from there. 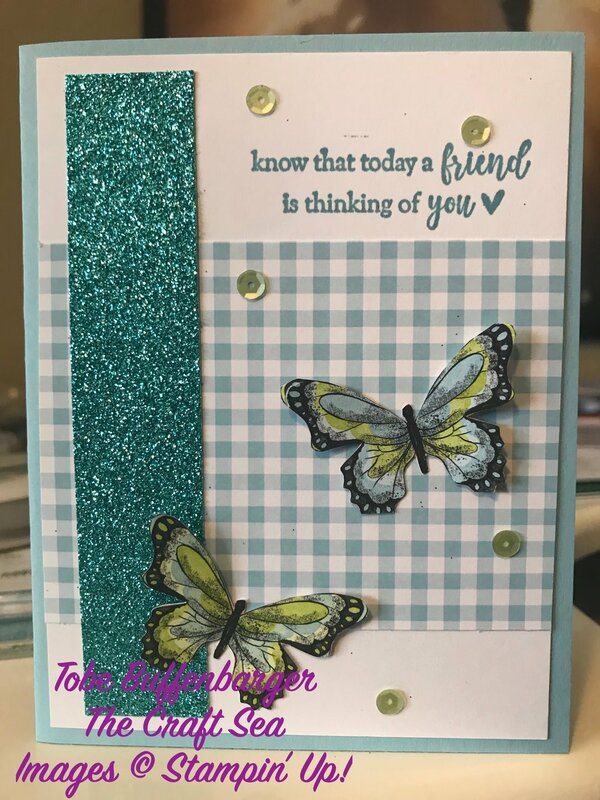 I coordinated that strip with a piece of the Gingham Gala DSP in Balmy Blue and cute out some cute butterflies from the Botanical Butterfly DSP pack (SAB item!). I finished off my card with a cute sentiment and some fun sequins. Love this card!